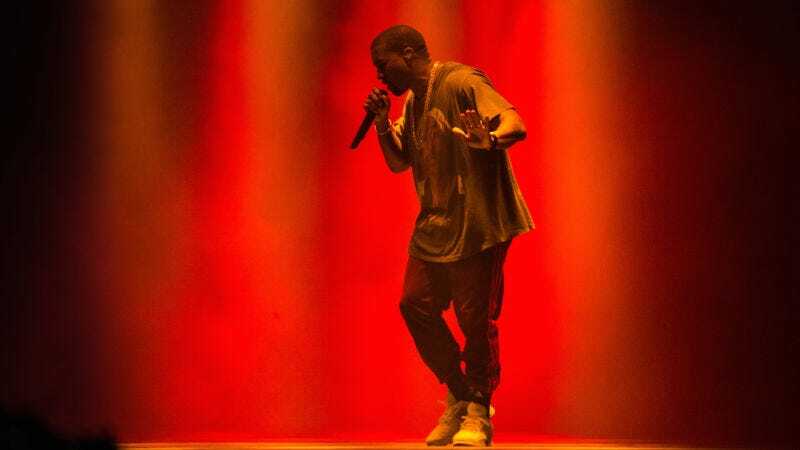 Kanye West filed a $10 million lawsuit against various syndicates of Lloyd’s of London, the company that insured the “Saint Pablo Tour” that West famously scrapped last year due to mental health issues (as demonstrated by several bouts of publicly erratic behavior), alleging they have so far failed to pay out claims related to the tour’s cancellation, according to The Hollywood Reporter. The complaint, filed on Tuesday in California federal court, alleges that, although a loss claim was submitted two days after West checked himself into a psychiatric center, the company still has not paid, in addition to which it has not, “provided anything approaching a coherent explanation about why they have not paid, or any indication if they will ever pay or even make a coverage decision.” The complaint also alleges that the insurance company is trying to get out of ponying up by blaming West’s cancelation on marijuana use. The lawsuit describes West’s behavior at a concert in Sacramento last year where he delivered a 15-minute paranoid rant about Jay Z, Beyoncé and Hillary Clinton as “strained, confused and erratic.” It also claims that the insurance company was provided with sworn testimony from a primary physical at UCLA, where West was hospitalized soon after, stating that West’s suffered from a debilitated medical condition that ruled out the possibility of him continuing to tour. Megan Fox hardly ever shares pictures of the three kids she’s had with Brian Austin Green, but, for whatever reason, the actress posted polaroids of four-year-old Noah, three-year-old Bodhi, and 11-month-old Journey to her Instagram on Monday.